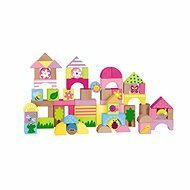 This is a classic building set that is made up of colourful and natural wooden blocks. 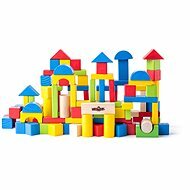 The paint used on the blocks is harmless and has a safety certificate. 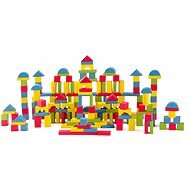 For shipping to other EU countries visit this page Woody Mixed Blocks. Für Versand nach Deutschland, besuchen Sie bitte Woody Würfel Mix. Chcete doručit zboží do Česka? Prohlédněte si Woody Kostky Mix. Chcete doručiť tovar na Slovensko? Prezrite si Woody Kocky Mix. Für Versand nach Österreich, besuchen Sie bitte Woody Würfel Mix. Magyarországra történő kiszállításért tekintse meg ezt a termékoldalt: Woody Kostky Mix.